Have you ever played the telephone game? You know, the one where you pass a message through a line of players? I have always been quite fond of the game, as it is an amusing way of showing how easily facts can turn into gossip when one is not careful. 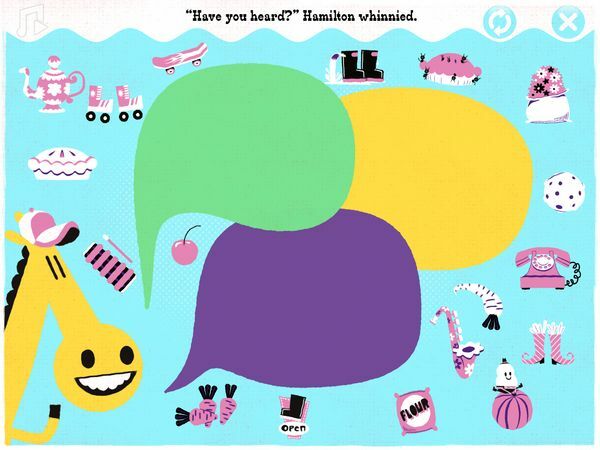 Well, the game is also the topic of the debut iPad app from New Zealand-based children’s app developer Yoozoo Books. 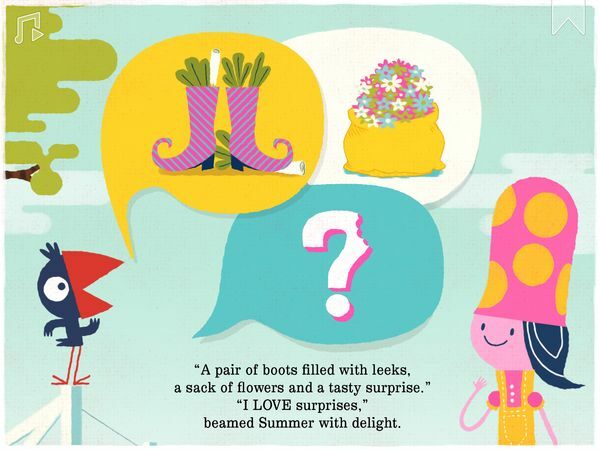 Called Have You Heard, it is an interactive storybook about a grapevine of mix-ups that circle around a colorful barnyard. The comedic tale begins when chirpy Peko sees Farmer Blue heading out on his shiny red tractor. Farmer Blue tells Peko that he is off to the village to pick up a few things and a surprise. Summer comes along, and Peko incorrectly tells her what those things were. Thus begins a tale muddled with errors and mix-ups. Summer tells her version of Farmer Blue’s shopping list to Hamilton, who passes it along to Ozwell. Ozwell relays it to Pinky, and before long the news wind up around the farm. By the time it comes back to Peko, it has already become a far-out tale of epic proportions. What will become of the farm inhabitants and their mix-up? How will Farmer Blue react to the outrageous tales? 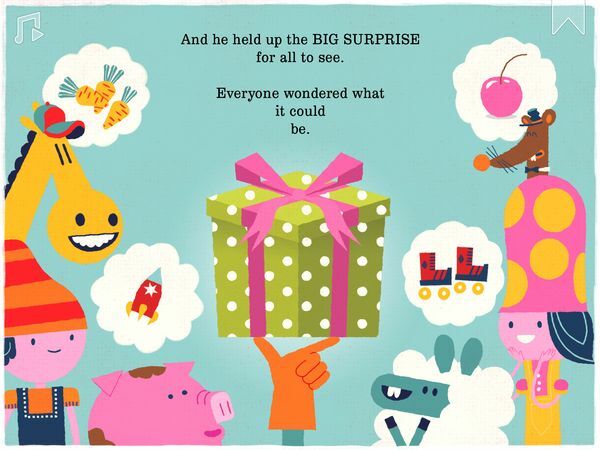 Will the farm inhabitants get the surprise they want from Farmer Blue? Have You Heard features crisp and colorful graphics on every page. Some pages have extra interactivity embedded in them, and children can tap on the elements on the page to reveal additional animations. At the end of the story, kids can play a memory game where they try to match who said what throughout the story by dragging items onto speech bubbles. There is also a simple musical activity which lets kids jam along with the characters to the app’s beatbox-style theme song. Have You Heard comes with two reading modes: Read Along/Auto Play and Play Mode. In both modes readers can choose to listen to the excellent narration (and sound effects!) provided by Rhys Darby -- the New Zealandian actor/comedian known for his role in the HBO series Flight of the Conchords) -- or turn off sounds entirely. One tidbit that parents should know is that the app also contains some educational values. The story is riddled with wordplay, and many of the objects featured are homophones, e.g. leaks and leeks, flour and flowers. This may help your kids expand their vocabulary. The app is quite safe for kids. It does not contain ads or in-app purchases. An external link to the developer’s website is available, but it is protected by way of a security question that must be answered in order to proceed. Now here is an interesting book! Have You Heard is a delightful production that had me entertained from start to finish. The moment I pressed the Auto Play button, I was quickly smitten by the colorful graphics and smooth animations. The writing was splendid as well, plus it delivered a sound message for kids: pay attention when someone is speaking to you. Another factor that made the app stand out for me was the narration and sound effects. Here I must shamefully admit that I didn’t know who Rhys Darby was before I reviewed the app, but he did a fantastic job bringing the story to life. Each character (and object) had a unique voice, which was no easy feat. I also enjoyed the memory game at the end of the story. I thought it was a clever addition for further emphasizing the message about paying attention. If I had to nitpick, one thing that I didn’t quite like was the fact that the menu icons were not labeled. The problem was that some icons did not clearly indicate what they do, which led to an occasional guessing game. Hopefully this will be improved in future updates. Prepare to be amused by this humorous take on the telephone game. Have You Heard is a solid app that features a witty story, polished graphics and animations, and excellent narration by actor Rhys Darby. The app also includes a fun memory game that tests whether you are paying attention to the story. It’s a great book for kids ages 3 and up -- highly recommended.